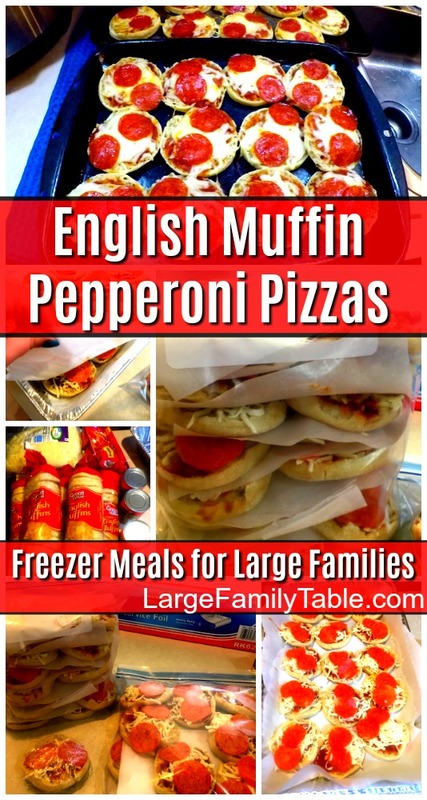 I shared a list of Realistic Large Family Meal Planning Using Freezer Meals. In that post, we chatted about ways to use freezer meals daily, save them only for unexpected real life times, or sprinkle them about somewhere in-between. 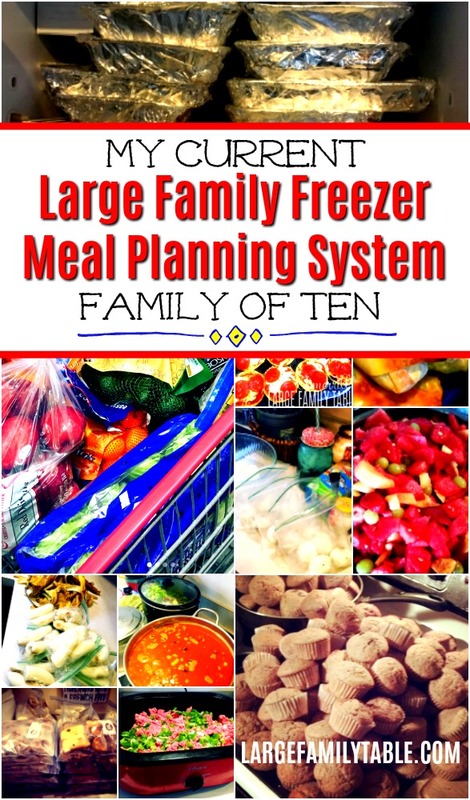 Today I’m sharing with you my current large family freezer meal planning system. I’m sharing my thought process for my once a month grocery shopping trip and how I’m meal planning for our large family at this moment. I’ve done meal planning many different ways over the years. It depends totally on how I need to structure life during the particular season that we’re in. And sister, things change! What in the world am I talking about here with “wide sweep then drill down deep?”This is how I explained my current large family meal planning system to another mom friend the other day. I do my once-a-month grocery shopping based on the meals I want to make. I have a list for the month that I shop from (of course the freezer cooking shopping portion is a piece of cake now with the planned out large family freezer meal packs). After all these years of feeding these people I know how much milk to buy upfront, how much cash to set aside for a small fill-in haul later in the month, and the fact that my kids can eat down a 40 lb box of bananas at lightning speed! By once a month grocery shopping I have the majority of the food we need for our family of ten for 4-6 weeks. I always say 4-6 weeks because many months when it’s time for my big grocery haul, I’ll try to stretch it out for a week or two to use up any extras before I shop again. This does involve me going back for a small fill-in haul around the 3-week mark for more milk, fruits, and veggies (back when we were a family of 7 with 5 children ages 11 and under I could still truly only shop once a month). Many months I’m able to do 1-2 dedicated large family freezer cooking days where I stock up 40-60+ large family freezer meals for the coming weeks. During the months when I just can’t get in a dedicated freezer cooking day, that’s when we really work on eating down our stash of freezer meals. Then I drill down the actual large family meal plan specifics as to what we’re eating for breakfast, lunch, dinner, and snacks on a weekly basis. This has worked well for me over that last several months. Every week is so different from its meetings, get-togethers, field trips, appointments, and needs. On the weekend I can look over the calendar and plan our meals based on the needs of the week ahead. 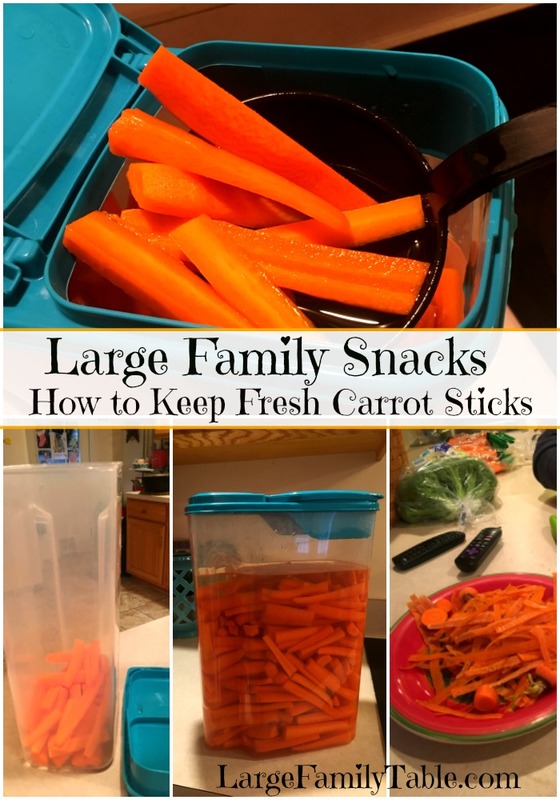 This allows me to customize our large family meal plan for real life, utilize my fully stocked freezer, and still cook fresh meals as I desire and am able. Here’s a view at how I drill down and make a detailed large family meal plan for one week. The weekend before I look at our calendar and our freezer inventory. I think through freezer meals that need to be used up (hey, a freezer lasagna from almost 12 weeks ago needs to serve its purpose in life!). I think about what meat my husband would like to grill and the fresh fruits and veggies that need to be used up. Then I use my 7-day calendar dry erase board to list out the meals for the week. *Low Carb/Trim Healthy Mama note: Lots of moms ask me how I can try to eat lower carb and mostly Trim Healthy Mama inspired while also making a ton of freezer meals for my family. You will see that many, not all, but again many, of my large family freezer meals, are on the lower carb side. 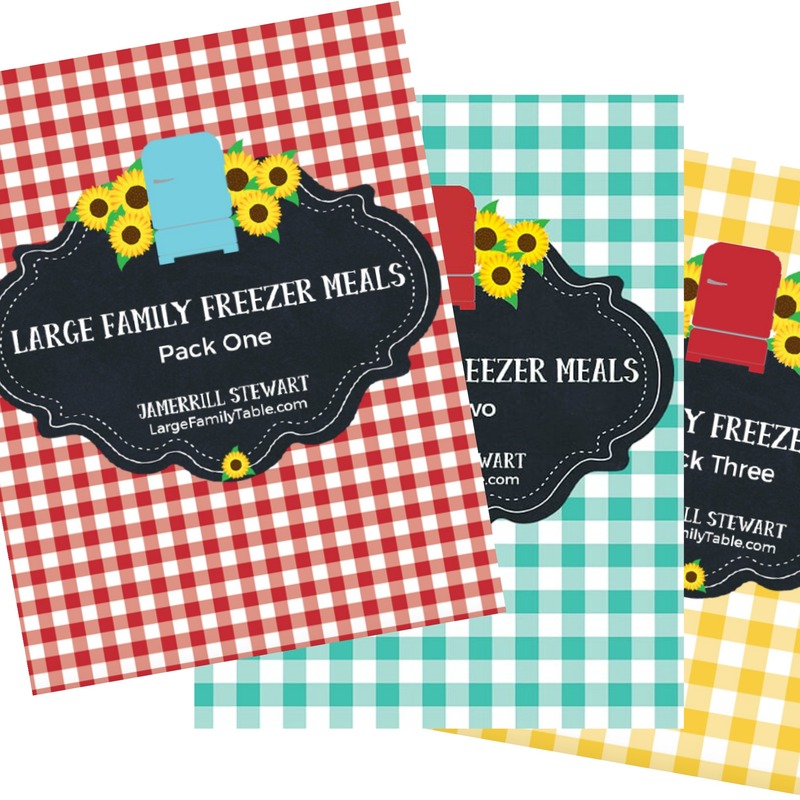 The newest large family freezer meal packs 1, 2, and 3 are a mix of real-life meals for real-life moms. Meaning there are plenty of lower carb/ sugar-free options, but there are also sanity-saving favorites. You can see the Table of Contents for each pack here. So there you have it! This is how I’m currently large family meal planning for my family of ten. 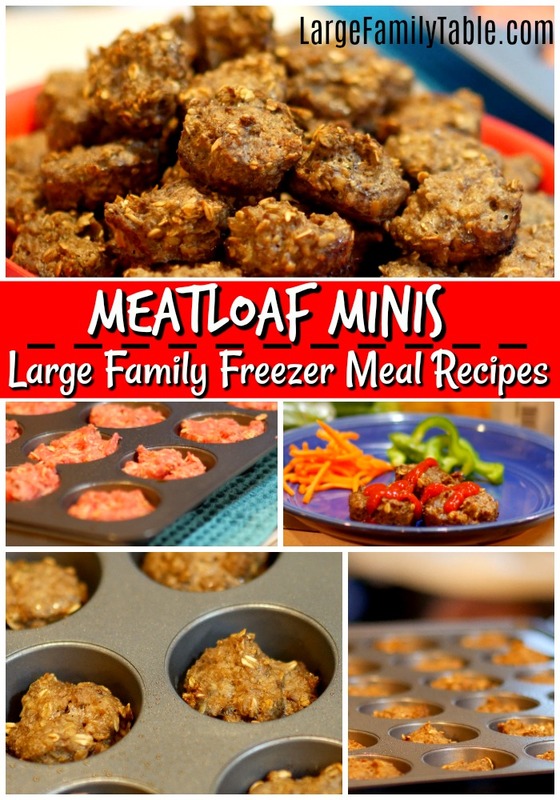 I’m using freezer meals for at least one meal a day, and yes some days for all three meals. We mix in plenty of fresh fruits and veggies all while I’m saving a ton of daily time in the kitchen. I’m shopping big and cooking big once a month or so, then drilling down large family meal planning specifics on a weekly basis. Be sure to share how you’re currently meal planning in the comments below! 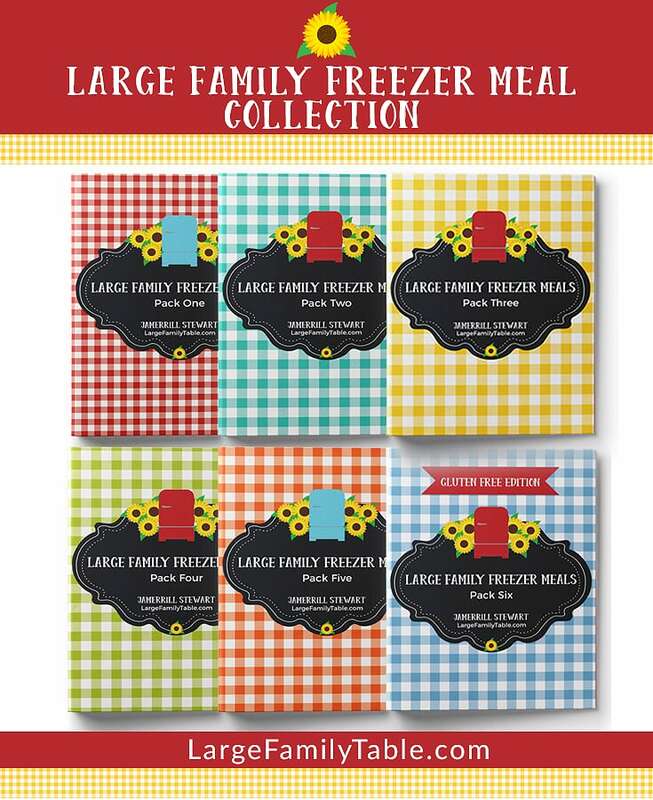 ALSO the Large Family Freezer Meals Bundle is now available!